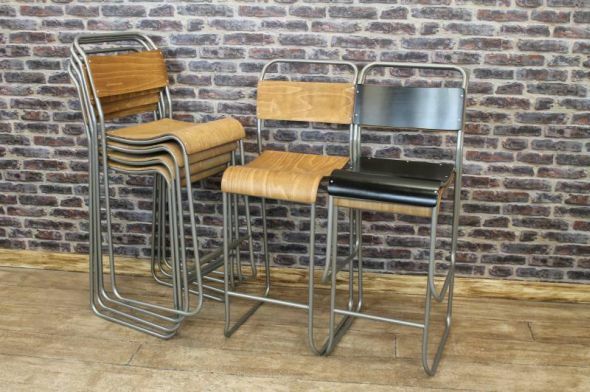 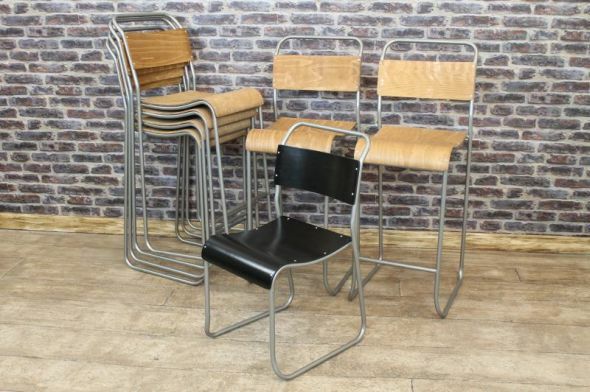 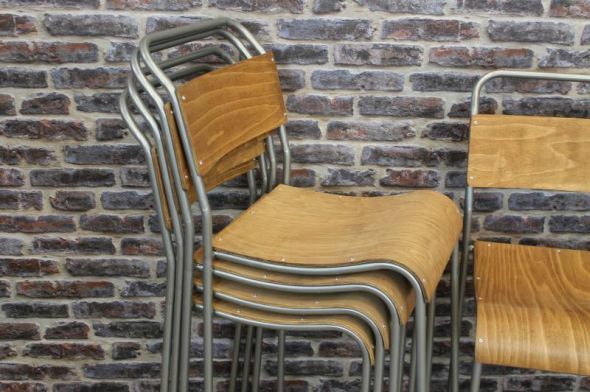 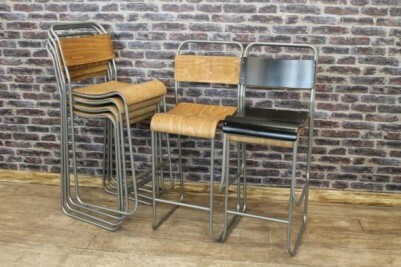 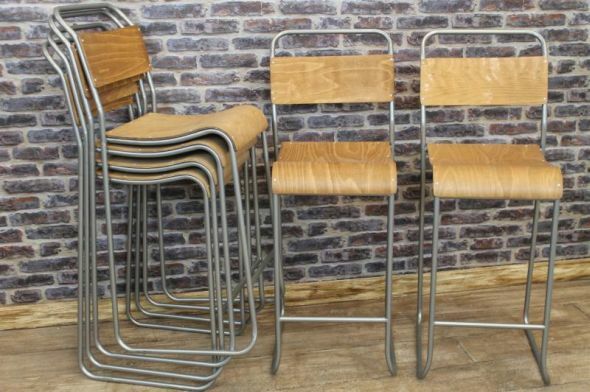 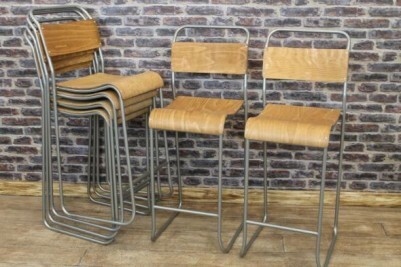 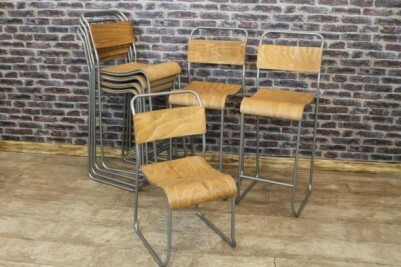 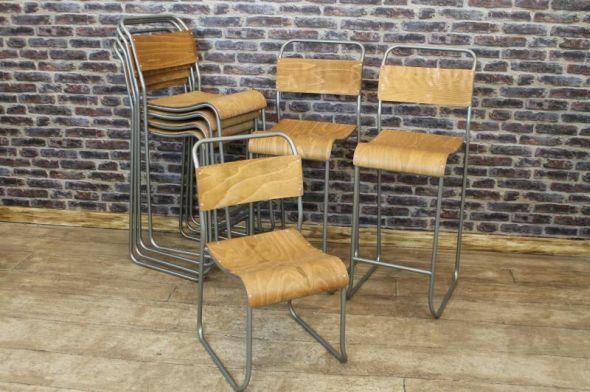 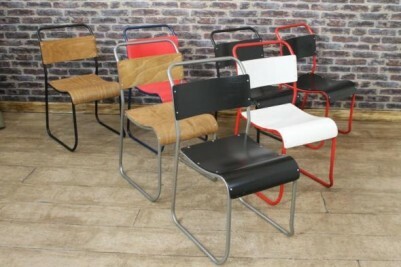 These vintage style 'Chelsea' metal stacking chairs/bar stools are a truly fantastic addition to our large range of vintage and industrial style furniture. These tall stacking bar stools/chairs are lightly worn in places which adds to their vintage inspired appearance. As shown in the photographs, these metal stacking chairs easily stack away for convenience; ideal for those with limited space available. 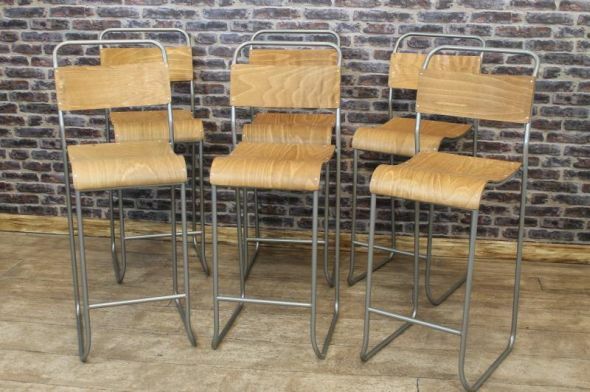 These tall bar stools are also available with black seats and backs (please see photos below for more details). We have large quantities of all colours of these 'Chelsea' stacking chairs available, and the VAT is included in the price. Recommended weight limit - 120 kilos.